Because I reached a few different social media goals, I wanted to celebrate with a giveaway! So in keeping with the "4" theme, how about a $40 gift card to TARGET? Congratulations for reaching your goals! I would buy a birthday gift for my son. I would get some of the new holiday barware with gold dots on them! I would probably put it toward Christmas presents! I spend it on groceries. My husband and I just bought our first house. I would love to spend it on stuff for the house!! Congrats on the numbers! How exciting. I would buy Dexter some Christmas clothing. sweaters, Santa suit, and all that jazz. I would use it for holiday shopping, buy gifts and groceries. I would buy a Christmas gift with it! I think I would buy some new maternity clothes for myself. That, or stuff for D.
I would buy Christmas presents for my son. I love the toy selection at Target. I would probably be getting more Christmas lights! Thanks for the giveaway! I would buy some new shoes!! I'd buy diapers for my newborn. I'd buy some new nail polish, maybe a scarf- definitely something just for me ! Would def help to buy Christmas presents!!! Way to go with all that virtual love!! Target is my all time favorite place but then again, isn't it everyones? I think I'd spend it on something nice for myself since I tend to by for the Hubster and our little guy. If I won the gift card I would spend the money on shoes. Or purses. I really dont know! Target is my downfall! I love everything there! That would all go to Christmas decor for sure, or birthday party supplies for Aria - which pretty much equals the same thing since her bday has a Christmas tone. I'd Buy A Pair Of Boots! I would use it toward home goods for my new place. How awesome of you!! Thanks for the chance lady! That's great! Congrats. 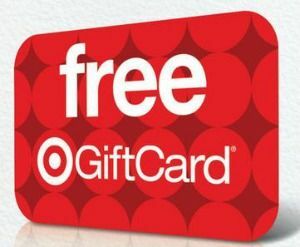 I'd love this gift card to buy some new Target dishes before the holidays! Toys and clothes for the kiddos! Congrats on meeting your goals! I like to buy accessories there. Christmas gift for the new baby! I'd put it towards new boots! My old favorites are literally falling apart! I would put it towards Christmas decorations. I'd put it towards stuff for my sister in law's baby shower! I would use it for a christmas gift for my daughter. I would get some new drinking glasses. I would buy my son some new pajamas and winter boots! I would use it to buy things (curtains,decorative pillows) for my new apartment. Thanks for the opportunity! I would buy a pair of khaki skinnys and a chambray shirt!